Located near the entrance to Sequoia National Park, the La Quinta Inn & Suites Visalia offers modern convenience in a comfortable, relaxing setting four miles from downtown. 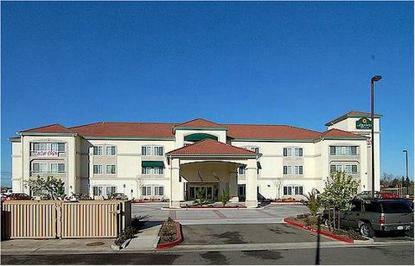 Enjoy free high-speed Internet access, a complimentary continental breakfast, onsite fitness center, heated indoor pool and Jacuzzi, and more at this Visalia hotel. There are several popular restaurants within walking distance and area attractions just a short drive away.